Indeed, there are three trends to be on the look-out for in both recruiting and sales: Personalization, Actionable Insights, and Relevance (PAR for short). All three are proof that, really, everything old is new again. It might seem odd to lump recruiting and sales together under the same heading; after all, one is about closing deals, and the other is about finding and placing talent. But these fields are converging on a set of tools and approaches that make both more personal, more actionable, and more personally relevant. It’s informative to look through the lenses of both sales and recruiting to see which way the winds are blowing. Less than a year ago, LinkedIn’s talent blog did a feature story on Rachel Saunders, recruiting superstar at Yahoo! In the interview, Saunders said that the key to her success was a high touch customer experience. The “special” experiences she is referring to don’t involve costly outings or lavish corporate gifts. Rather, Saunders’s approach is simply to do her homework and connect with talent on subjects about which they are passionate, or hobbies which they enjoy. This can be as simple as sending them an article or a link to a resource they would find useful or interesting. The formula Saunders is finding so useful is now being replicated more widely. Already, 94 percent of sales and marketing executives have identified personalization as being important, very important, or extremely important, according to a 2014 study done by Forrester. The world of recruiting has been a little slower to catch on, though more and more articles are popping up on topics like “artisanal recruiting” and personalized recruiting experiences. What sales has already figured out is that, to close deals, one needs to stay top-of-mind through constant contact. And not just any kind of contact: personal, human contact. It’s clear that talent, too, has come to expect more personal service from recruiters and more engagement from employers. It’s no longer enough for a recruiter to “do their homework” — just as a salesperson warms up a lead, recruiters need to add that “human touch” to warm up their recruits and potential clients. Trend #2: Big Data is generating immediately actionable insights. Recruiters of old were masters of time-tested tactics: jotting down notes, calling, and interviewing, and so on. But personalization with a human touch requires much more than merely checking in or finding a common topic of conversation. For better or for worse, conversations are no longer limited to phone calls during business hours, and they can happen anytime. Email and social media, for example, open up opportunities to send content and recommendations as soon as they’re found. Texts and tweets can relay short messages in near real time. Likes and comments matter more than hellos and goodbyes. Though the tools for this kind of constant conversation abound, there are relatively few tools helping us determine what to say. When a recruiter finds out that a top candidate is a passionate advocate of agile development, what then? Or what if they mention their love for sky diving? Or that they’ve been having knee pain for the last few months? This state of affairs is changing, however. Big data has already given us proven tools for narrowing markets and making highly relevant recommendations in a timely manner. If that approach works for ecommerce, why can’t it work for recruiting? Put simply, it can. The principle in both cases is the same: referring someone to something that might interest them. Trend #3: Relevance will be the new king-maker. In marketing circles, the phrase “content is king” has dominated for almost a decade. Content, of course, is meant to be consumed by multiple people. Those people might be in a narrow niche market, but no one expends resources writing for a single reader. This is in stark contrast to the highly personalized approach that sales and recruiting are taking. In these areas, the amount, scope, and usefulness of content are secondary to the relevance of that content. For example, imagine that you’ve stayed in contact with a candidate. Let’s call her Safra. Safra heads up the development group for a tech company in the Midwest. Based on conversations you’ve had with her, you know she has two children, ages 17 and 20. She also has a love of skiing, and is actively involved with certain tech blogs. She says that she likes where she works and is not considering a new role. Nevertheless, you stay in touch with her by email. Over the next two months, you exchanging articles and insights based on what she writes about on those tech blogs. Once you’ve established some rapport, you also recommend to her The Internet of Us: Knowing More and Understanding Less in the Age of Big Data by philosopher Michael Lynch. 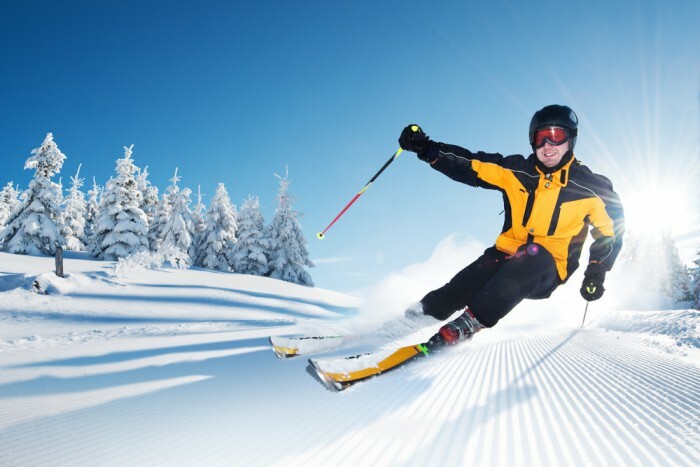 And when winter comes around, you send Safra some recommendations for ski vacations where she can take the whole family for some much deserved time off. After a few months of personal connection, Safra comes to trust you — and becomes interested in some of the tech job offers you are trying to fill. Though she was not considering a new role, she is convinced that you truly have her best interests at heart. Understanding that, she takes you seriously when you mention a great possible career move for her. What Will the Coming Years Bring? Of course, there is only so much crystal-ball gazing we can do. Some firms will embrace these trends quickly, and some will be slower to adapt. Still, consider: both sales and recruiting are becoming overly-populated professions. In most industries, there are more salespeople, and more recruiters, than there are opportunities. This means that differentiation will make all the difference. What better way is there to differentiate in these professionals, than to be personal, to act on your insights, and to do so in a highly relevant way? That’s why both sales and recruiting will become more about PAR that anything else. Everything old is new again. Baker Nanduru is founder & CEO of Delighterr Inc, a next gen client engagement software company. He founded Delighterr Inc in 2015 with backing from Steve Bennett, former CEO of Symantec Corp and Intuit Inc. He has 15+ years of B2B strategy and marketing experience at Symantec, Veritas and Oracle. Most recently, he served as senior director of global channel strategy & programs at Symantec, a role in which he was responsible for the company's go-to-market strategy, partner programs and channel operations. When not working, you can find him enjoying running, and spending time with his two young daughters, and drinking scotch.